The room was cozy and very clean. The location was perfect for walking the downtown. No more free toast and juice for breakfast. Coffee was fine. Unique property with a lot of history. The 3rd Floor rooms have a skylight in them and some have stone on the walls. Very soft towels . Location was super convenient in the lovely downtown area! Staff was very friendly! Location is good. The room was clean and housekeeping was friendly. Location and staff were nice. Price was reasonable but reflective of the accommodations. 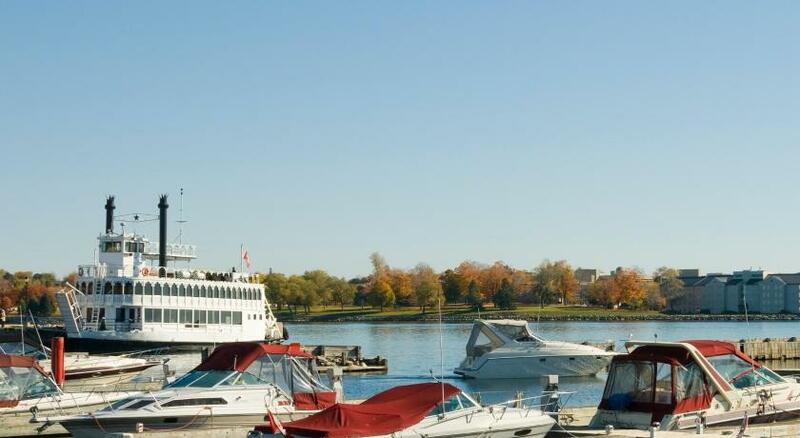 This hotel is well located in the middle of downtown Kingston. A short 5 minute walk to the waterfront restaurants. 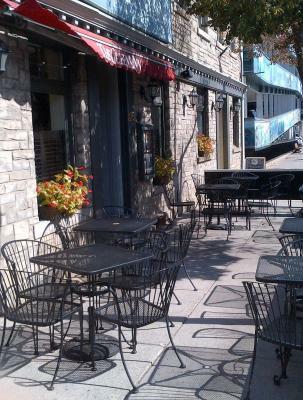 The inn is about a small pub with a patio. The night we stayed there, there was live music in the pub. Our room was very comfortable and clean. The bed was very comfortable. There was a parking garage right beside the Inn and very cheap for overnight parking. The was a small breakfast with coffee and toast in the pub, the next morning (nothing special). This inn was very charming and remind me of being in an authentic inn in England. 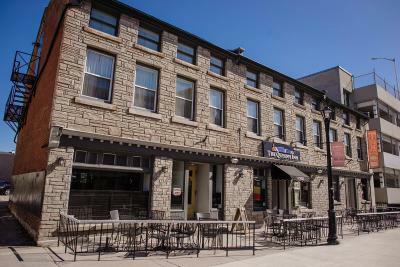 I would highly recommend this Inn for those that want a cozy stay in downtown Kingston. Queen's Inn is a very old building with some history to it. 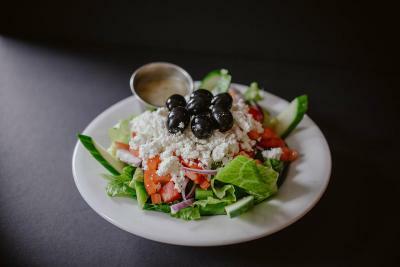 It is close to the town so you can walk to the restaurants and to the stores. We had dinner at their restaurant one night and the food was good. Went to happy hour another night. They had a band which did a decent job. You are a close drive to the Penitentiary and Fort Henry, both places you will want to visit. We also had a wonderful tour of Bellevue House. Get the Kingston City Guild book it will help you plan your day. 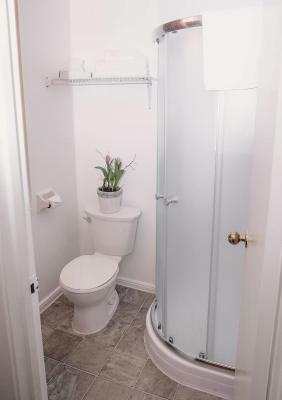 Perfect location in the very heart of the downtown. The place is cozy. The staff is extremely friendly. Location is great! The Queen's Inn This rating is a reflection of how the property compares to the industry standard when it comes to price, facilities and services available. It's based on a self-evaluation by the property. Use this rating to help choose your stay! 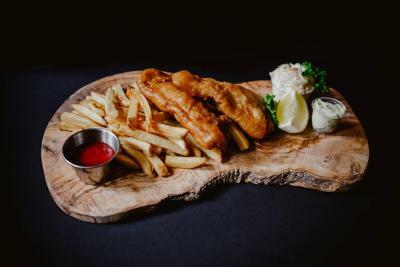 One of our best sellers in Kingston! 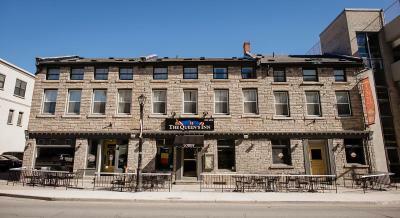 Located in historic central Kingston, this inn was built in 1839 and is 5 minutes’ drive from Queens University. 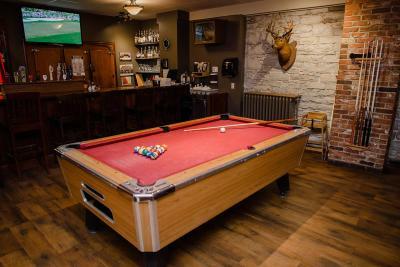 It features an on-site pub and sports bar, as well as classic rooms with free Wi-Fi. 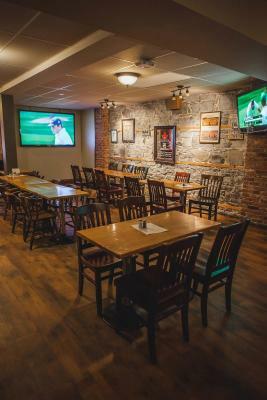 Guests at Queen’s Inn Kingston can enjoy lunch or dinner at Coppers, a full-service restaurant and pub. 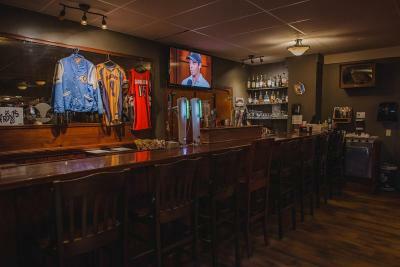 The Sports Tap and Grill features a wide selection of beer and 2 billiards tables. 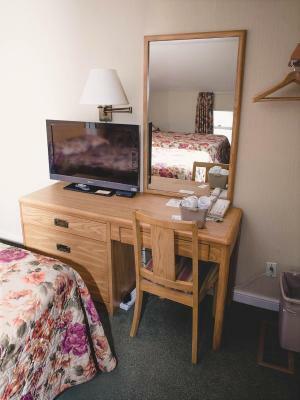 A cable TV and work desk are standard in every simply furnished room at The Queen’s Inn. 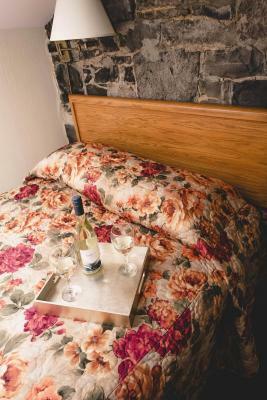 All rooms are decorated with floral bedding and include an private bathroom. K-Rock Center, a sports and entertainment arena, is 0.3 mi from the inn. 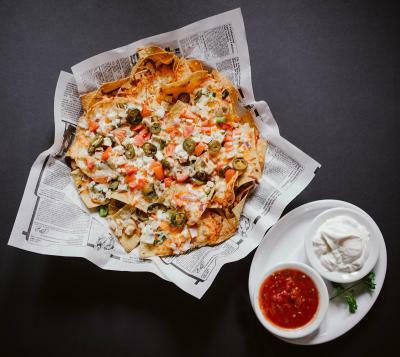 The Grand Theater is 5 minutes’ walk away. 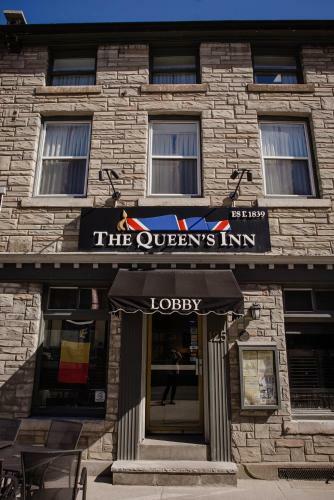 When would you like to stay at The Queen's Inn? 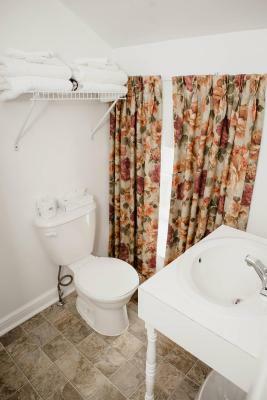 This room includes free Wi-Fi and a cable TV. 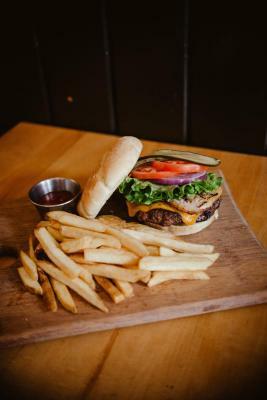 House Rules The Queen's Inn takes special requests – add in the next step! The Queen&#39;s Inn accepts these cards and reserves the right to temporarily hold an amount prior to arrival. The Queen's Inn accepts these cards and reserves the right to temporarily hold an amount prior to arrival. No sound insulation between rooms,, could hear conversation easily. Bed quilt was the dated shiny kind and not enough pillows. No amenities (parking, microwaved, room coffee maker, fridge). These are all things that I hope for when traveling with a kid. The young man at the check in was very friendly and helpful. The facility has no parking, so with a small car you can park in an underground close by. Street parking otherwise. The "free coffee" in the lobby had no way to mix it and there was no sugar. No microwaves in the rooms, one in the lobby that we did not try. No fridges either. Beds were average. I can pay the same amount for a hotel in Toronto and get a lot more bank for my buck. There's no way to control the heat in the room except to open a window. We like a cold room for sleeping. There's no more toast, jams, and juice for early risers. Coffee is good but we miss the other food. 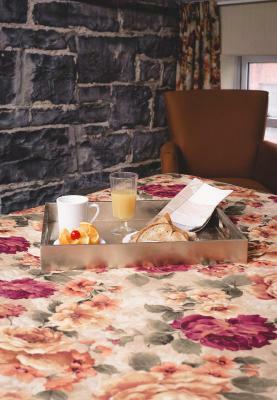 We stay at the Queens Inn at least twice a year and were looking forward to more of a breakfast. Did notice your restaurant is now serving breakfast. Don't park overnight in the city parking garage next to this hotel. Our car was broken into two years ago so we park now in the Sheraton Inn underground lot; much more secure and only a short walk. No parking on site but public garage next door. Friendly and helpful staff. Spotless room. Comfy bed. Walking distance to shopping and restaurants. Very thin walls, we had to be moved twice due to the same extremely loud, drunk neighbours and were refused a later checkout time, despite the earlier problem. In 2 of the 3 rooms we were in, we encountered a centipede crawling across the floor and the wall. Rooms are quite small and there is no mini fridge in any of them. Bible in the night table that doesn’t accommodate people of any other religion (my partner is Jewish) or lack of one - this kind of thing should be brought in yourself rather than having it already be in the room. Free breakfast is toast, juice and coffee. No iron no coffee in room. Great downtown location. The room was very small but charming. 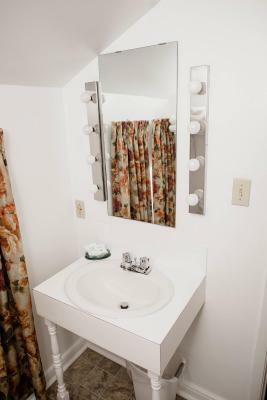 No exrtra amenities such as coffee maker, wine glasses, microwave. overall good location, breakfast is good, comparing to daily rate, it is pretty wise choice. The stairs were difficult to navigate with luggage. The hotel is very quaint and the room was huge! The staff was very friendly and helpful.